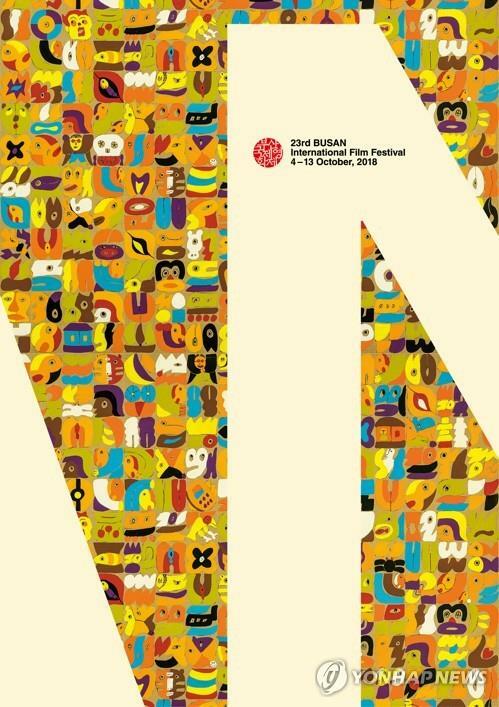 SEOUL, Sept. 20 (Yonhap) -- For the cinephile, the approach of the Busan International Film Festival, which runs from Oct. 4-13, signifies the imminence of autumn. The whole industry and movie fans are expected to congregate in the South Korean port city of Busan, 325 kilometers southeast of Seoul, this year, as the annual event returned to its normality after four years of political turmoil over "municipal interference." South Korean film industry groups recently lifted their boycott of the festival after former festival director Lee Yong-kwan was reinstated and the new Busan Mayor Oh Keo-don promised to ensure the artistic freedom of the festival on behalf of his predecessor who was in a feud with the festival. The 23rd edition of the festival will feature 323 films from 79 countries, up from last year's 300 films from 76 countries. The new lineup includes the world premieres of 115 films (85 feature and 30 short films). Also in the lineup are a number of diverse Asian films from such countries as China, Japan, India and the Philippines, as well as the latest from master filmmakers. The ticket reservation for the opening and closing ceremonies will begin at 6 p.m. on Thursday and other films at 2 p.m. on Sept. 27. Here, we're taking a closer look at the films that caught our attention. "Beautiful Days," a South Korean drama about the agony of a female North Korean defector who settled in the South, will open the festival. Director Yun Jero's film starring Lee Na-young depicts the dissolution and restoration of a family through the story of North Korea defectors. This marks the actress's first appearance on the screen in six years. The festival will close with "Master Z: The Ip Man Legacy," the latest from Hong Kong director Yuen Woo-Ping, an influential filmmaker best known for his work in action choreography. The martial arts drama is about a man named Cheung Tin Chi who lives a depressed life after being defeated by a legendary martial arts master but gets himself into a fight with the big boss behind the bar district. BIFF has chosen three Korean, Chinese and Japanese films in the Gala Presentation section for screening the latest works from contemporary master directors. They are "Ode to the Goose" by Korean-Chinese director Zhang Lu, "First Night Nerves" by Hong Kong director Stanley Kwan and "Killing" by Japanese director Shinya Tsukamoto. "Ode to the Goose" starring Moon So-ri and Park Hae-il tells a hopeless love story of a man and a woman who travel to the western port city of Gunsan. "First Night Nerves" portrays the anxiety and angst of two famous rivaling actresses throughout the preparation stages of a successful premiere for a theater play. The film's star, famous Chinese actress Bai Baihe, is set to visit Busan during the festival. "Killing" follows a quiet young man, who devotes himself to martial arts training in a peaceful countryside but suddenly becomes a samurai due to the need to challenge a multitude of outlaws who enter the village. "First Man," the opener of this year's Venice Film Festival, and a number of other films premiered in the three major international film festivals -- Venice, Cannes and Berlin -- this year, will come to Busan. Oscar-winning "La La Land" director Damien Chazelle reteamed with the film's star Ryan Gosling for the biopic about Neil Armstrong and NASA's Apollo 11 mission to the moon. Late American director Orson Welles' previously unreleased film "The Other Side of the Wind" had its world premiere at Venice this year, more than 40 years after he last shot scenes for it. The film will be shown for the first time in Asia at Busan. Esteemed French-Swiss director Jean-Luc Godard returns with "The Image Book," a visual essay that is a bewildering collage of images, a fierce dissection of contemporary life and a rebuke of the image itself, according to BIFF. The Cannes-premiered film will be shown for the first time in Asia but for just one time on Oct. 7. Also in the lineup are films that shined at Cannes this year. They are the Italian director Matteo Garrone's latest "Dogman," "Cold War," winner of the best director award, and Turkish director Nuri Bilge Ceylan's latest "The Wild Pear Tree." 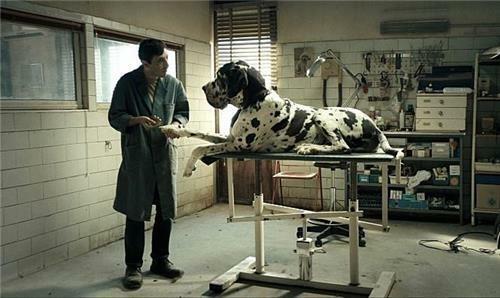 Marcello Fonte, who won the best actor award at Cannes for "Dogman," will visit Busan to meet Korean movie fans. Among the titles in the festival's Open Cinema section, programmer Kim Young-woo recommended watching "My Tyrano: Together, Forever," "More than Blue" and "Dying to Survive." "My Tyrano," an animated Korean-Chinese-Japanese feature directed by Kobun Shizuno, depicts the friendship of a lonely Tyrannosaurus rex, Tyrano, and an orphaned baby dinosaur Punon as they take a journey together in search for an earthly paradise. It features a soundtrack by Japanese film composer Ryuichi Sakamoto, who has been named the 2018 Asian Filmmaker of the Year by the festival. Sakamoto will play the piano in the opening ceremony for the 23rd edition on Oct. 4. "More than Blue" is the Taiwanese remake of a 2009 South Korean romance movie of the same name starring Kwon Sang-woo, Lee Bo-young and Lee Beom-soo. The new movie's director Gavin Lin and popular young actors Yi How Liu, also known as Jasper Liu, and Ivy Chen will visit the festival to promote the movie. "Dying to Survive," a low-budget movie that was hugely popular in China this summer, depicts the efforts of an aphrodisiac peddler to smuggle cancer medication from India that was too expensive at home. 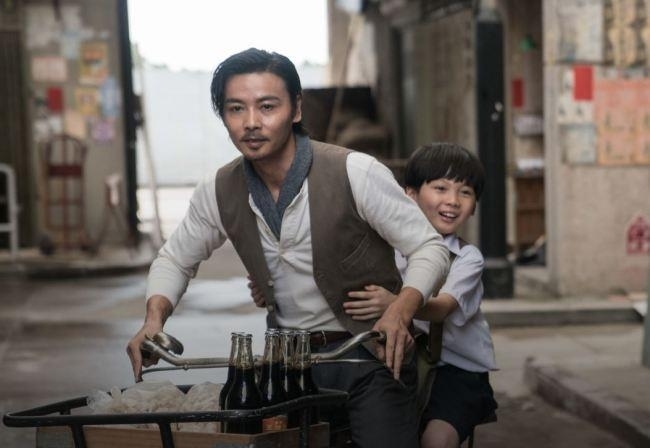 Among other choices from Kim are Taiwanese director Ho Wi Ding's latest "Cities of Last Things," a triptych that spans a character's past, present and future -— but in reverse chronological order; a recut version of Chinese auteur Jia Zhangke's Cannes Palme d'Or contender "Ash Is Purest White"; "Manta Ray," the feature debut of Thai writer-director Phuttiphong Aroonpheng; "The Rib" by Chinese director Zhang Wei about a transgender teenager who is born into a devoutly Christian family; and "Sanju," a biographical drama on Bollywood star Sanjay Dutt by the Indian filmmaker Rajkumar Hirani of "Three Idiots." For Korean titles, BIFF programmer Nam Dong-churl picked "Youngju," "Our Body" as "must-see" movies, among others. 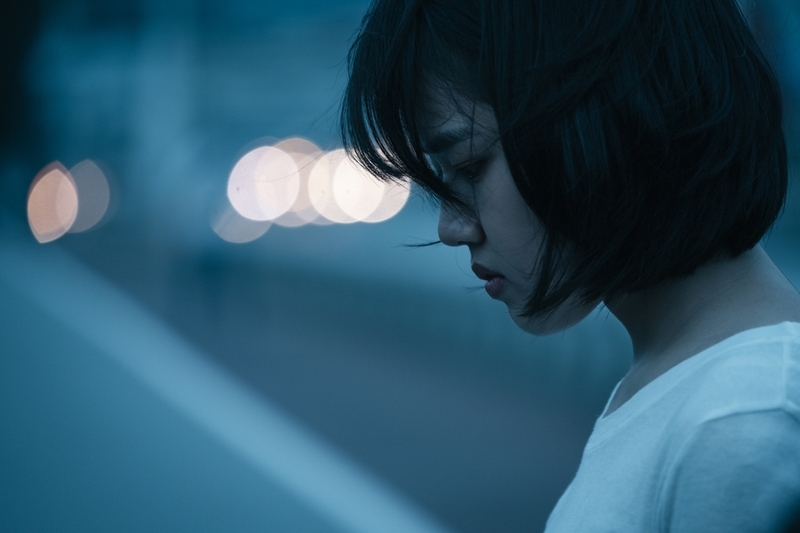 "Youngju," directed by Cha Sung-duk, tells the story of a girl of the name in the title, who visits the perpetrator after losing her parents in a traffic accident. Actress Kim Hyang-gi of the hugely popular Korean fantasy franchise "Along With the Gods," plays the title role. "Our Body" by Han Ka-ram is about Ja-young, who is exhausted from her repeated failure in the state exam to become a civil servant. She regains her zest for life as she runs into Hyun-ju, a jogger full of healthy charm. This film starring Choi Hee-seo of "Anarchist from Colony," a 2017 Korean film, as Ja-young, premiered at the Toronto International Film Festival earlier this month.